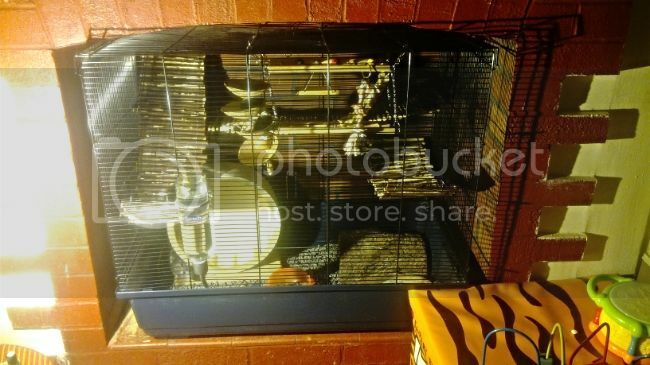 hmm, i didn't know where to put mine. 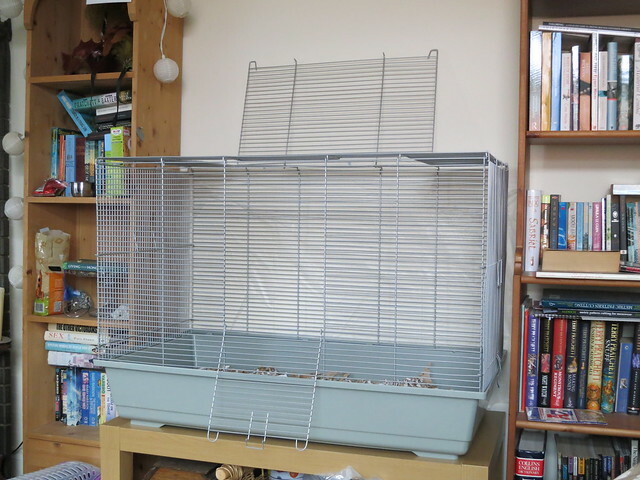 it's not large and wide, but it's a parrot cage so i'm settling here... it's supposed to hold 4 rats. 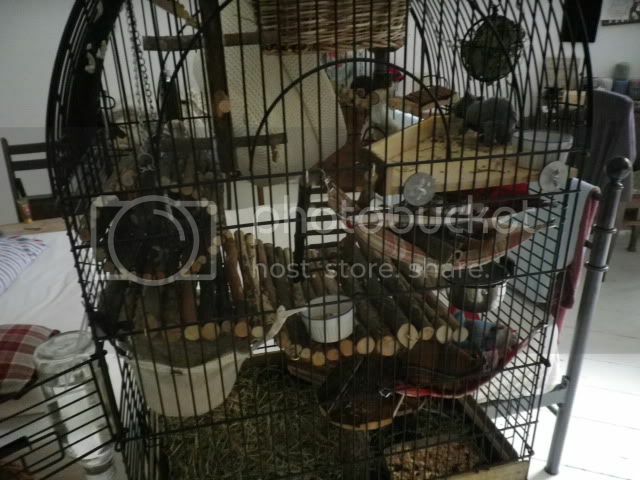 Zazie and Zima live here. 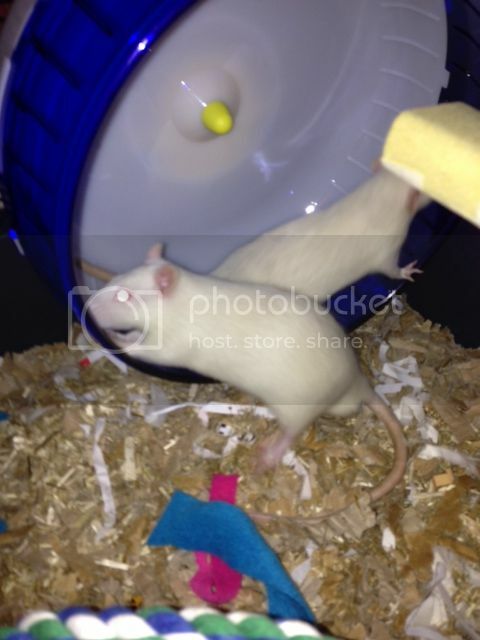 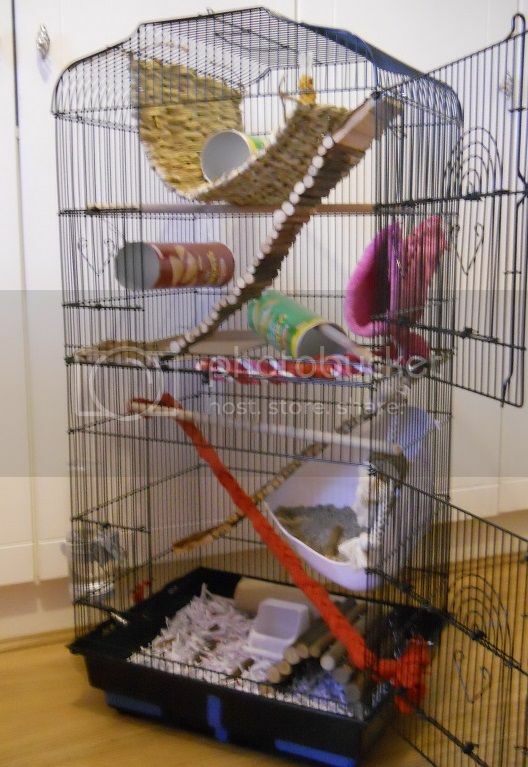 they get fresh food scatter fed on the bottom, and there's space for them to roll around and wrestle. 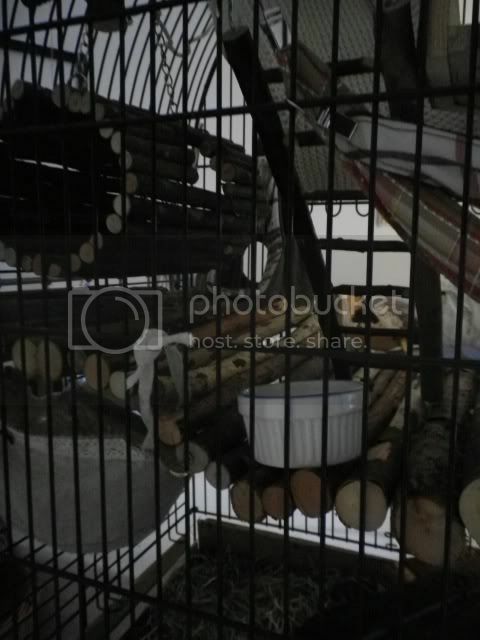 i give the dry in a food bowl, in a small hanging basket to the left, and inside the hanging wooden tube thingie. 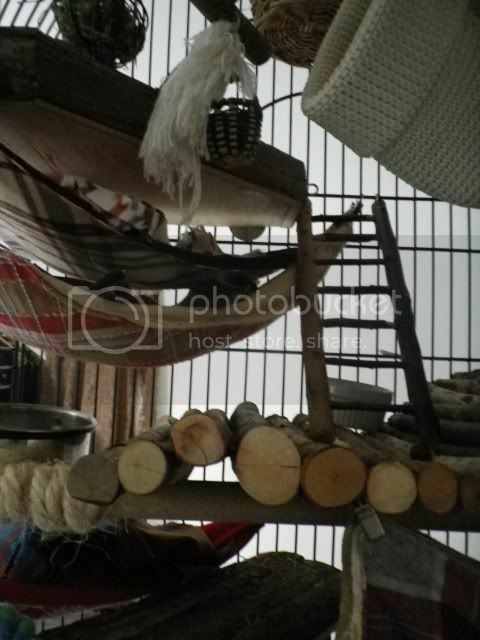 the grains that fall through the raft-like wooden platform fall into the small hammock/sack thingie and they can dig into it and have fun "foraging". 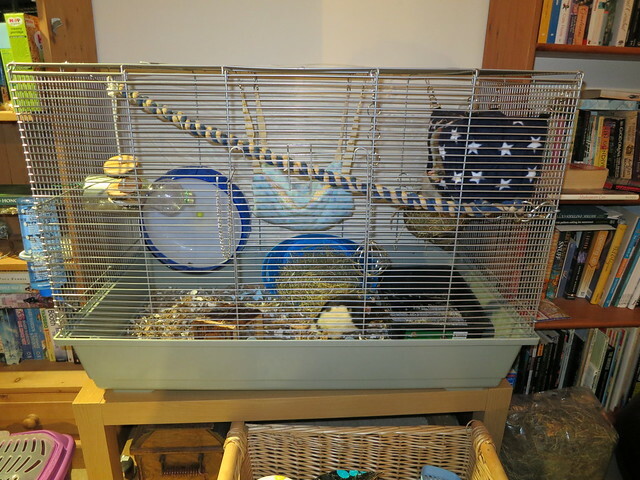 there's also a hanging ball where i put dried dandelion leaves or fresh lettuce etc. 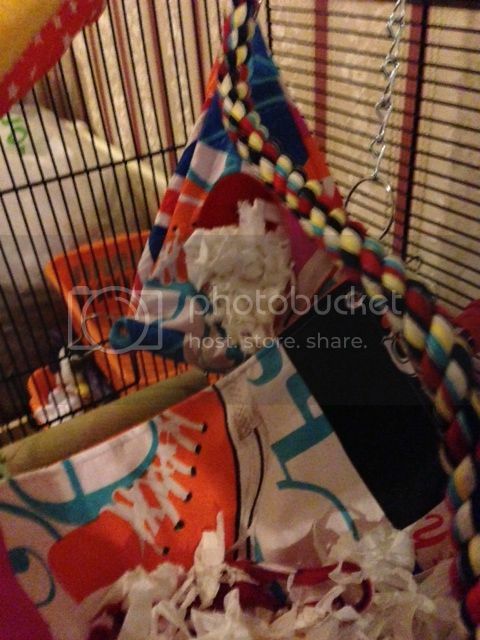 there are lots of hammocks/bags but they have their favourite spots and mostly sleep in just one thing! 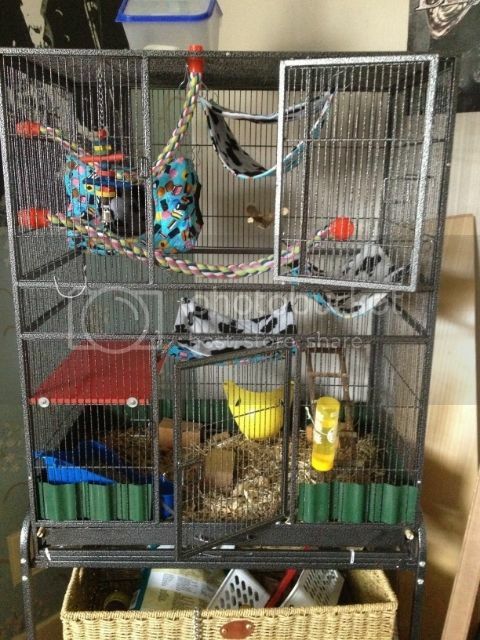 Here is my new cage for my 2 rehomed old boys. 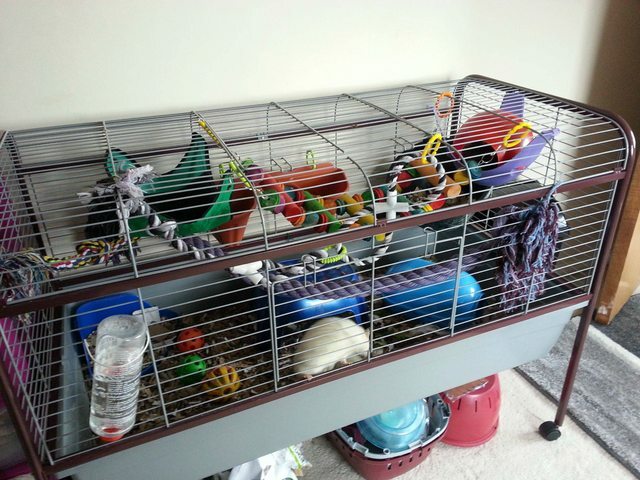 They're loving it so far! 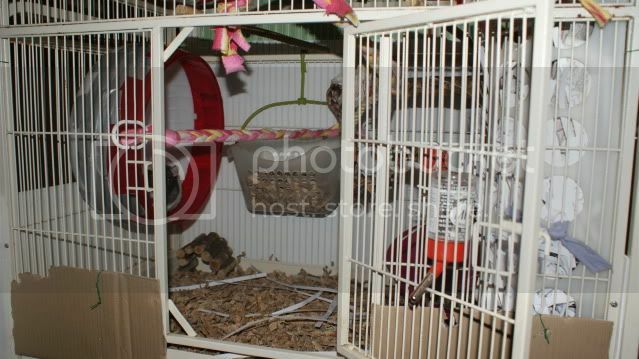 This is the first cage I bought. 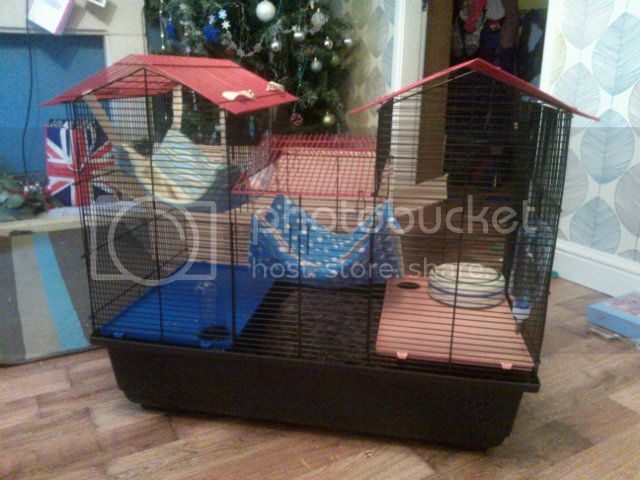 Will put the babies in this when I have fetched them. 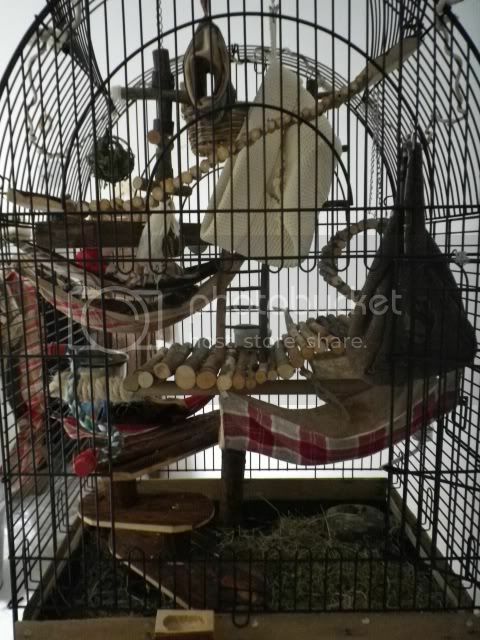 This is my Liberta F12 cage. 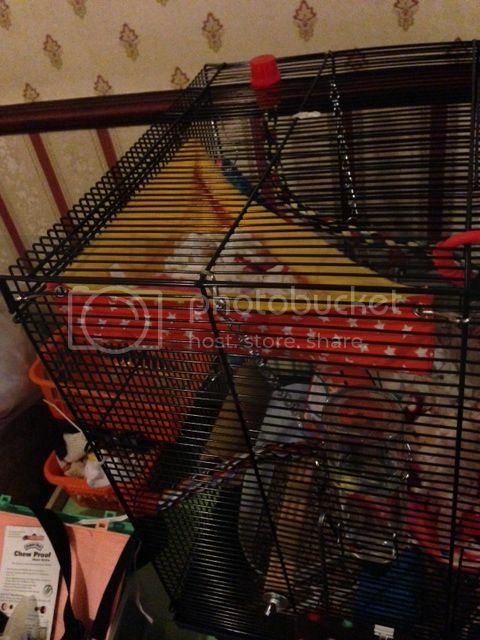 It's an alright cage - though i'm on the hunt for something bigger and better! 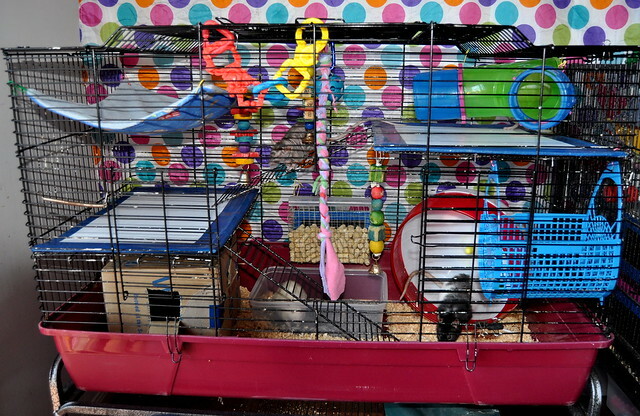 ^They don't have Haribos there! 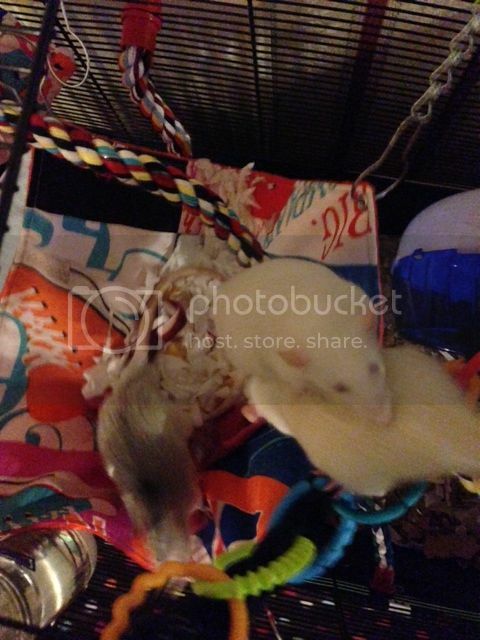 It's a box full of rattie goodies - They love them! 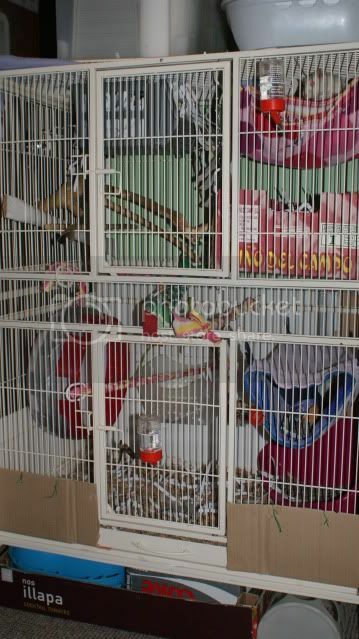 Here's my current set up for my two young does. 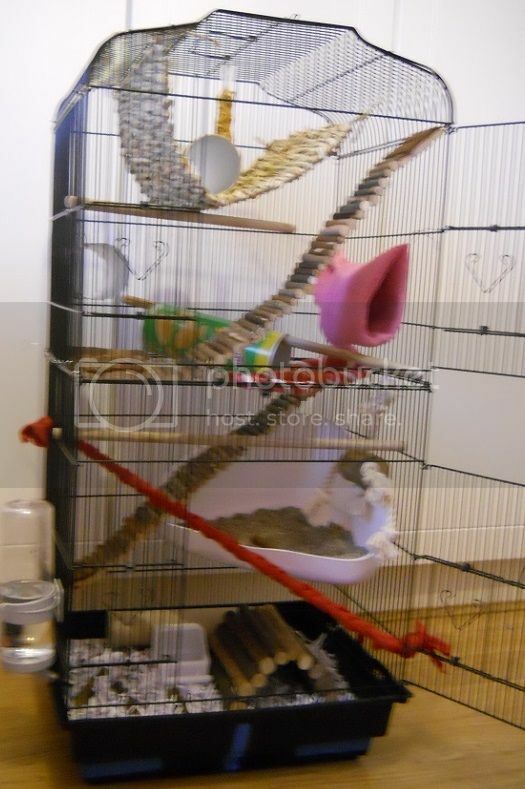 They love the vertical set-up - perfect for climbing. 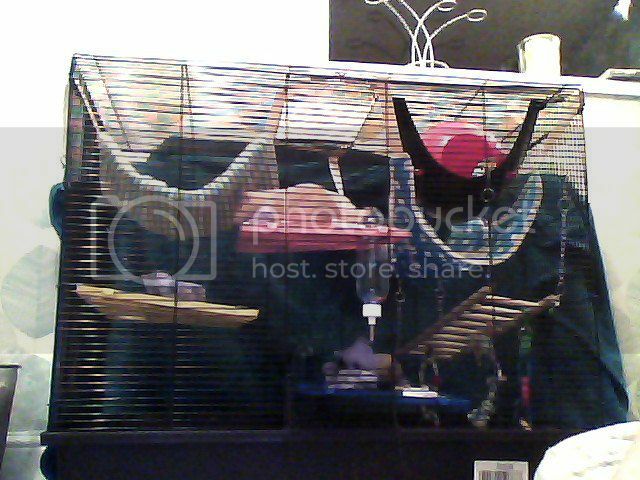 I managed to get the cage for a steal at £25 from a warehouse wholesaler - came with free parrot toy which was suitable for the ratties too! 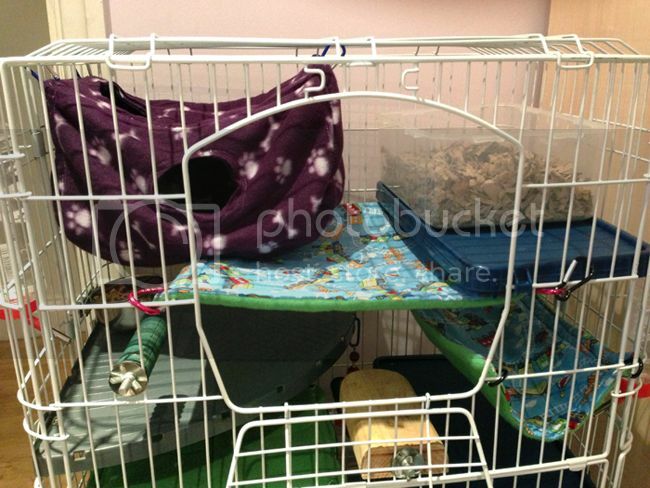 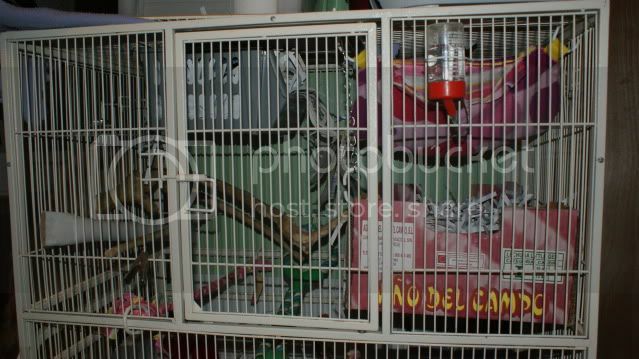 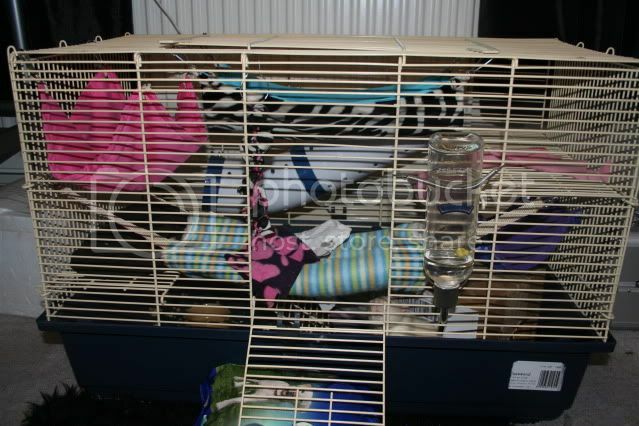 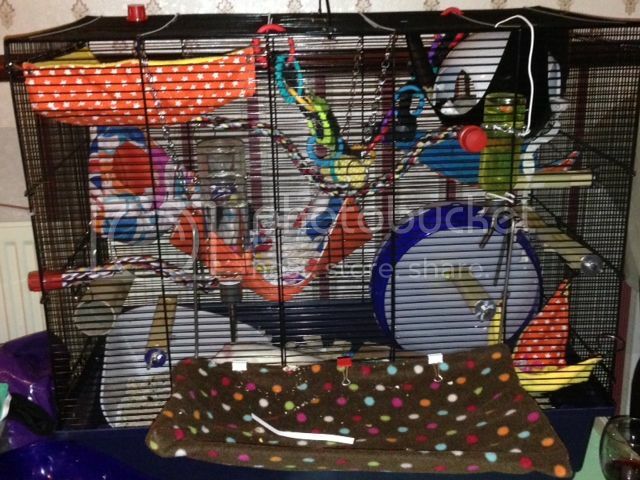 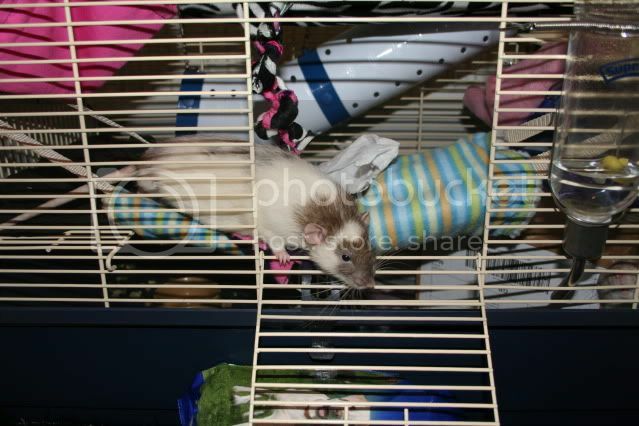 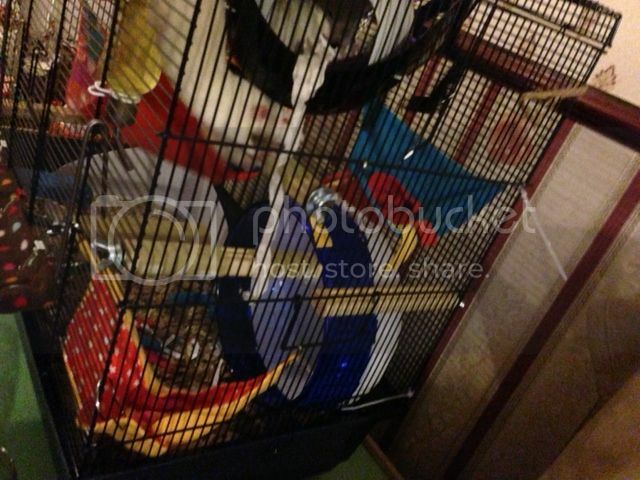 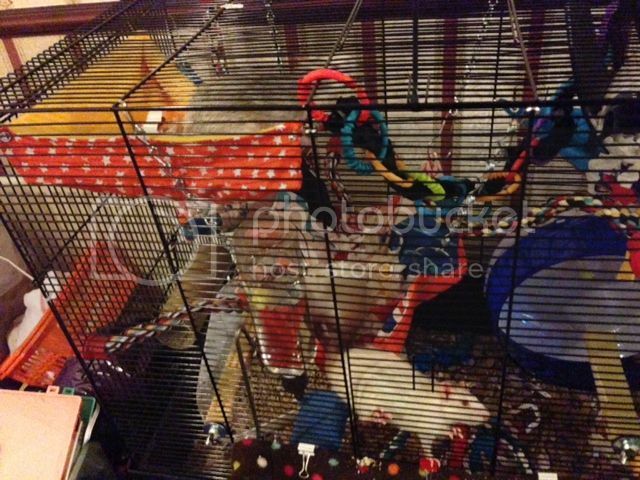 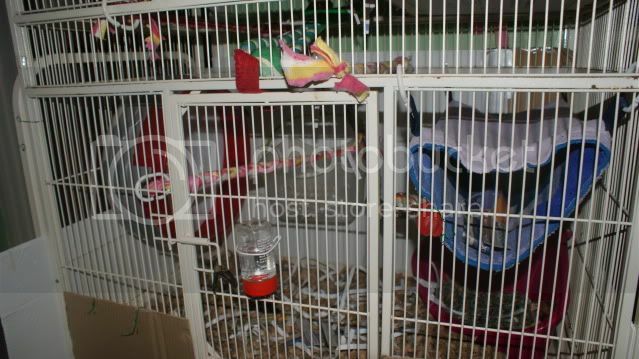 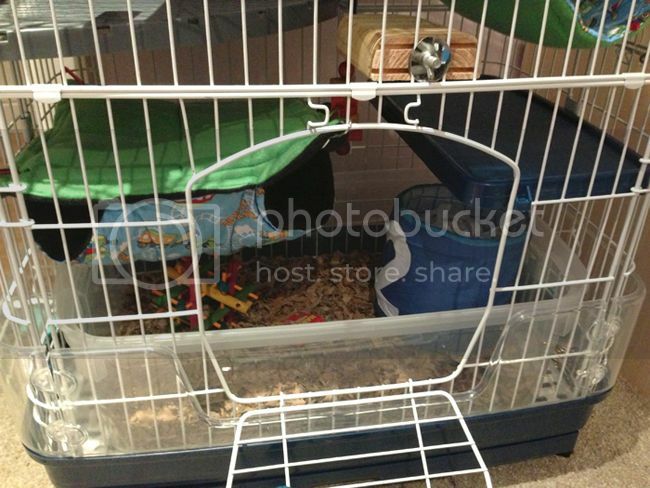 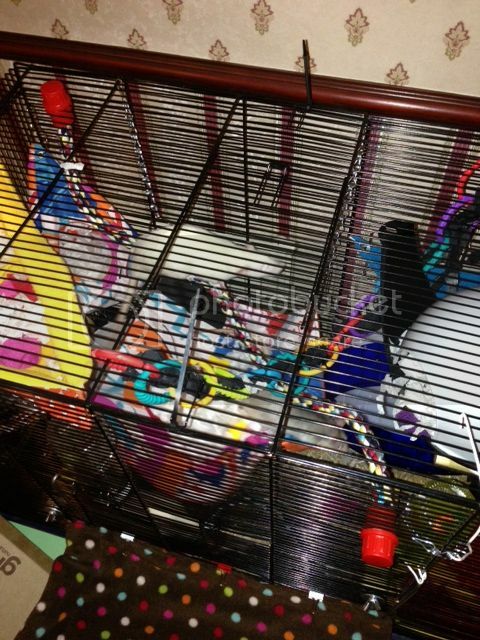 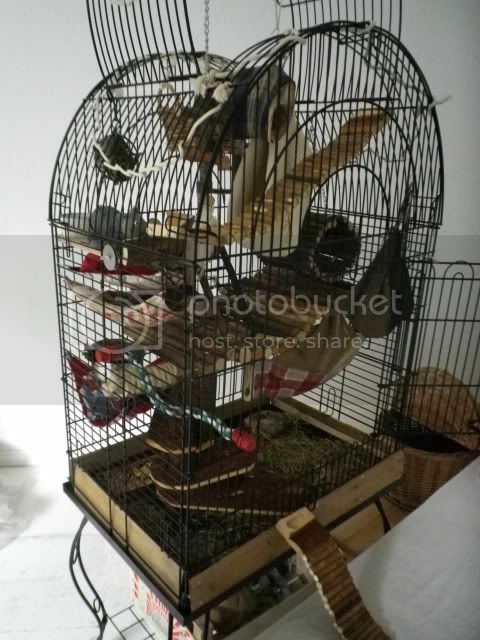 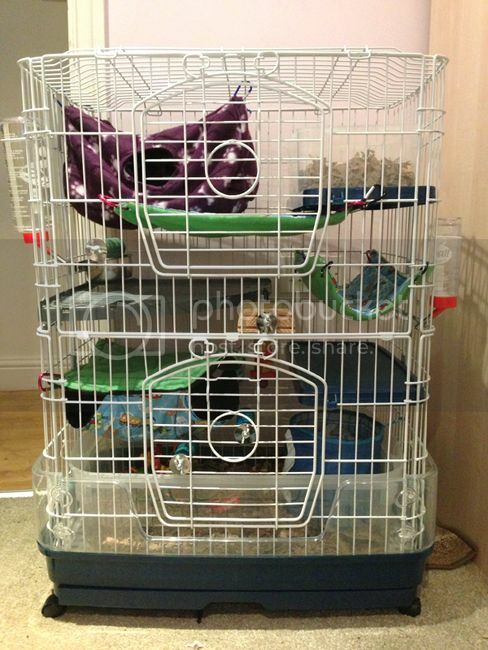 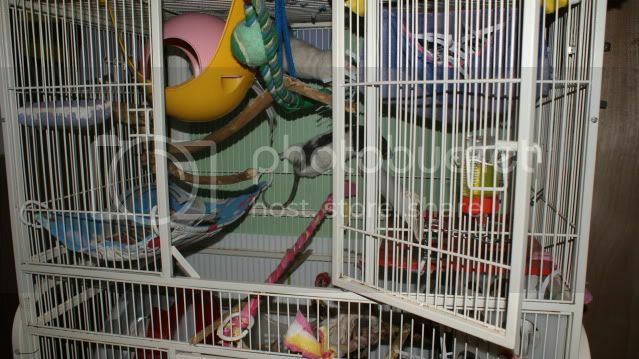 A Coco cage from Little Pet Warehouse, bought to replace a 100cm Mamble. 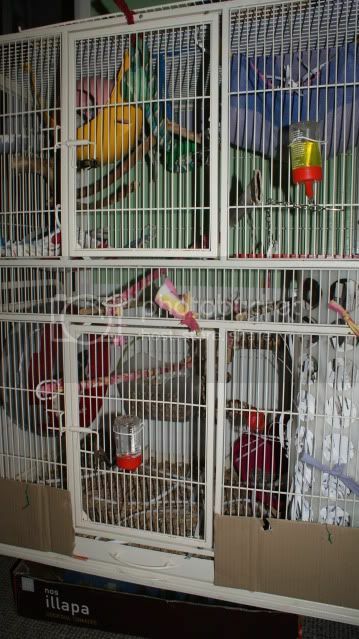 A quick layout for my younger boys while I moved on to setting up a geriatric ward in the Mamble they'd just come out of. 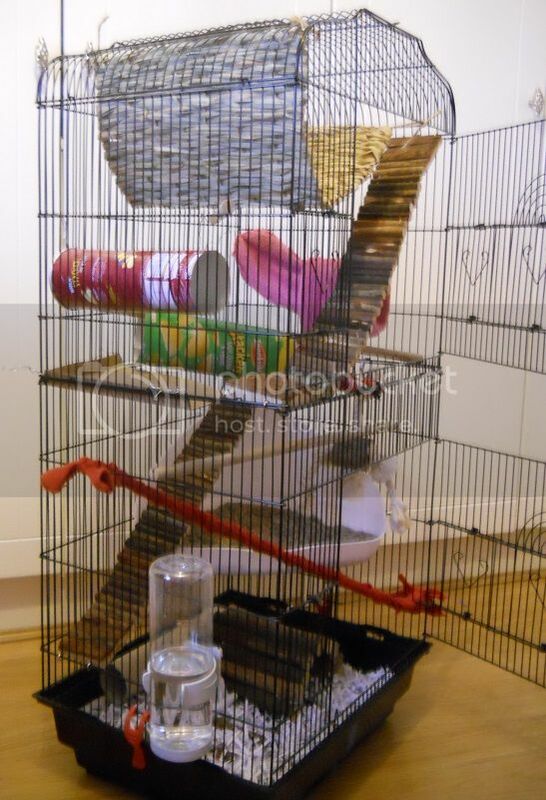 We have a PetOne ferret cage for the boys. 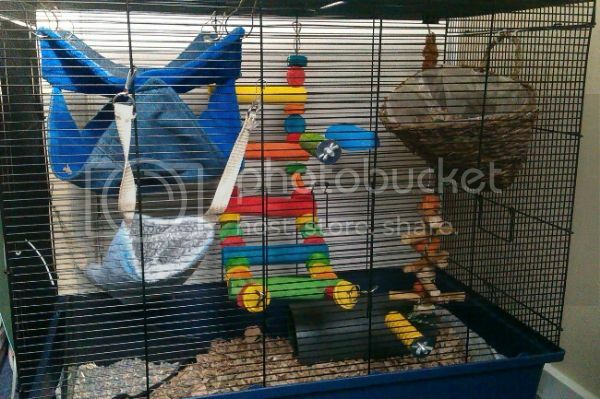 Attempt at a climby set-up to keep two boys as active as possible as they get older and lazier.